What is an REHS/RS Credential? No issues are more important to the communities in which we live and work than clean air, safe food, and potable water. An individual with an REHS/RS credential has the skill set to ensure that these basic community necessities are met as well as to manage other critical functions such as emergency response, vector control, sewage sanitation, hazardous material handling and more. The REHS/RS is the most prevalent NEHA credential and professionals demonstrate competency in an impressive range of environmental health issues, directing and training personnel to respond to routine or emergency environmental situations, and providing education to their communities on environmental health concerns. In addition, REHS/RS credential holders are key members in ensuring communities are in compliance with local, state and federal environmental health regulations. 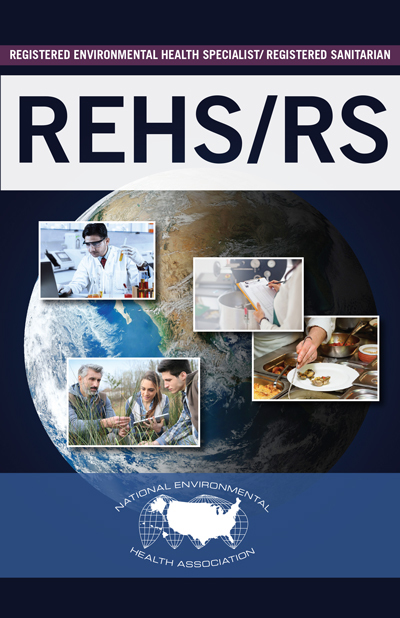 "The REHS/RS explores the breadth and scope of Environmental Health. The REHS/RS is THE premier credential with regard to environmental health." "The REHS/RS is all-encompassing for Environmental Health. People recognize it and it’s a good way to keep up, through continuing education, so you can do your job better." "My REHS/RS credential gave me confidence to apply for jobs with industry after I retired from the state. It provides incentives for professional development and industry recognition." "The REHS/RS credential enabled a vertical fast track for me in my organization. It also provides a level of credibility in discussing legislative issues or in courtroom situations"